Successfully Added Car Air Purifier - Negative Ion Purifying, LED Display, Real Time Air Condition Monitoring, 10 Cubic Meter Range to your Shopping Cart. Stay healthy while on the move thanks to this smart air purifier for in your car. Thanks to its compact design, this smart health gadget fits conveniently in any vehicle – allowing you to purify the air and ensuring that you’ll never breathe in harmful particles again. Additionally, this air purifier can also be used perfectly for small office spaces or bedrooms in order to keep the environment clean. Capable of cleaning the air in an area ranging up to 10 cubic meters, this car accessory makes sure that everybody in your car or office can enjoy its amazing health benefits. By applying negative ion purifying methods, this air purifier is capable of working without the need of any filters. This smart device will separate harmful particles such as dust and bacteria from the regular oxygen atoms after which its special plasma will make sure these harmful particles will get destroyed. What will be left after this process is clean and pure air that is safe to breathe for anybody out there. With this state of the art purifying method, this car accessory is capable of producing up to 3000000 pieces of clean negative Ions per cubic CM – ensuring that with every breath you take, you’ll only inhale the cleanest air imaginable. 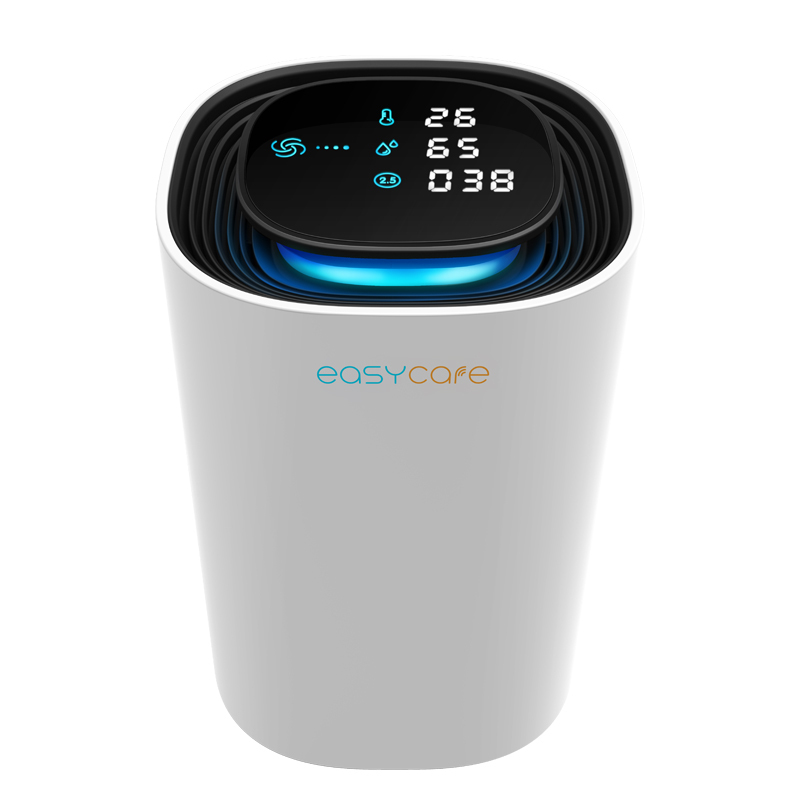 Equipped with a LED display, this smart air purifier for in your car keeps you constantly updated about the quality of the air, humidity levels, and temperature. With its gesture sensing technology, you’ll be able to operate this modern device without needing to touch any buttons. Whether you use it to purify your air, get rid of bad smells, or to remove smoke from your car- this car air purifier is guaranteed to meet all your demands. This air purifier comes with a 12 months warranty, brought to you by the leader in electronic devices as well as wholesale electronic gadgets..